How do I Prove Medical Malpractice in Virginia? The average person doesn’t have to think about medical malpractice unless it happens to them or someone they know. For most, the idea of a doctor injuring them is abstract and difficult to confront. However, some studies estimate that medical malpractice occurs daily at hospitals, and most doctors will commit some form of malpractice in their career. There is a myth, often spread by interest groups, that most medical malpractice cases are “frivolous” and malpractice cases are driving up the cost of healthcare. The truth is that malpractice is driving up the cost of healthcare, not the lawsuits. The average person should have legal recourse to a doctor who injured them, and often the only way to fight back is through a medical malpractice suit. 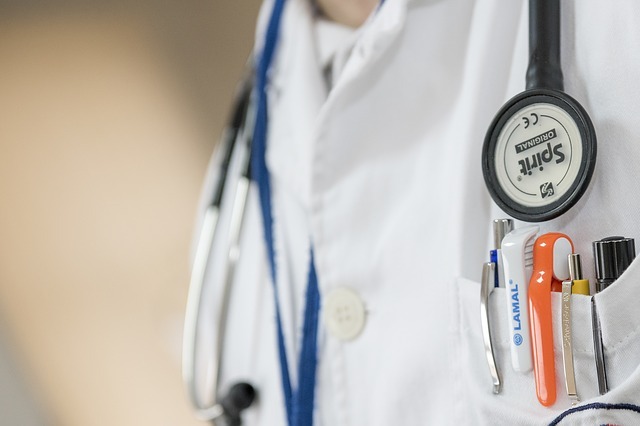 Because of the negativity around medical malpractice cases, Virginia has a cap on damages for medical malpractice cases. The juries involved are not made aware of the cap, and they sometimes award medical malpractice cases above the cap. You may have a $3 million dollar case according to the jury, but Virginia caps the damage award at $2 million. Was there a breach of the standard of care? This is a little difficult for a non-medical individual to know, but not always. If you had surgery and an item was left inside you, that is a breach of care. Another example is when a doctor fails to diagnose a condition by neglecting to order the correct tests. For example, a doctor fails to confirm a pregnancy before a woman undergoes an X-Ray, causing a miscarriage, is a breach of care. When considering the standard of care, ask yourself if a reasonable person (or a reasonable doctor) would have made the same mistake. If you were unaware that you had an allergy to medication, and told the medical staff you had no allergies, you cannot blame the doctor for prescribing medication that caused a reaction. It is an unfortunate situation, but the staff had no reason to suspect you would be allergic. In Virginia, you have to obtain a certificate of merit before you can file a medical malpractice claim. You have to have an expert sign off saying the doctor deviated from the standard of care. An attorney will advise you about a certificate of merit. Some individuals contacting BenGlassLaw about their medical malpractice cases cite “what could have happened” as the basis for their case. Medical malpractice only deals with what did happen. The woman who underwent X-rays and later found out she was pregnant, but the baby was healthy and unharmed, probably does not have a medical malpractice case. Also, the damages need to be significant. If the duration of the injury was short and there was little or no pain, it probably won’t be worth your time pursuing a medical malpractice claim. Medical malpractice occurs very often, but most injuries are minor and short-lived. Our legal system is simply not robust enough to handle what is considered small medical malpractice cases, and attorneys need to be very selective. Is there a firm link (proximate cause) between your injury and the doctor's actions? This is deceptively simple, but it kills most medical malpractice cases. Did the doctor's actions directly cause the injury, and did those actions violate the “standard of care?” Medical care is not as cut and dry as we perceive, and often the link between one action and another is not clear. However, for a medical malpractice case, the link must be clear and easy to understand. Medical malpractice cases that go to trial are subject to the interpretation of a jury. In Hampton, Virginia, a judge threw out a case after the defense moved to have it struck because it "did not prove proximate cause." This was eventually reversed, but it is a good example of why the proximate cause is so important. If after this article you still have questions about your medical malpractice case, read our medical malpractice FAQs for more information. You can get a FREE copy of my book Why Most Medical Malpractice Victims Never Recover a Dime. You can also contact BenGlassLaw at (703)584-7277 OR you can fill out our Medical Malpractice Questionnaire, and we will contact you about your case.